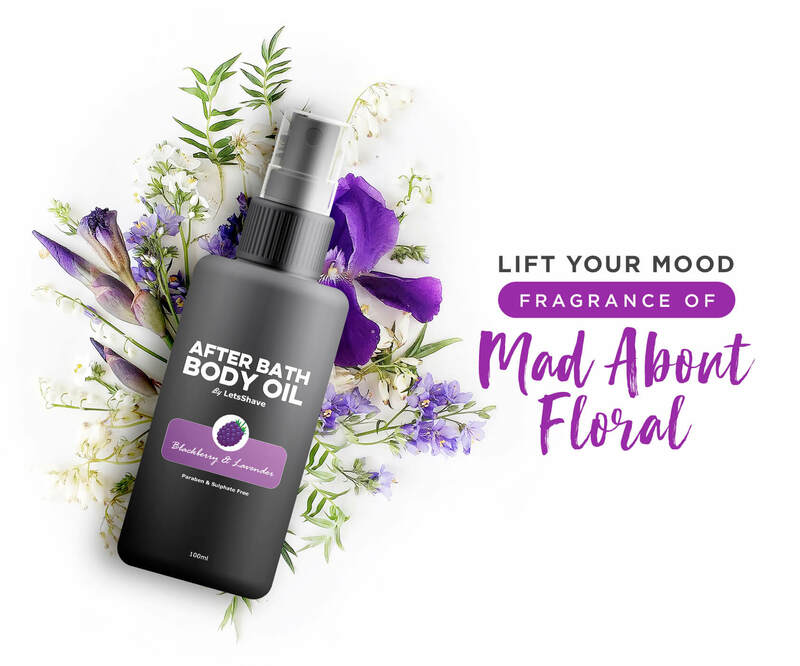 It a great skin-softening and moisturising, after bath body oil containing a blend of Argan oil, jojoba oil, sunflower seed oil, Vitamin e, botanical extracts of blackberry and lavender. Non-sticky. Non-greasy. Sulfate- free. Paraben- free. Heavenly fragrance of fresh flowers. Love it. The fragrance is heavenly. It is literally non-sticky. It does what it claims. Moisturising, hydrating and non-sticky. One of my Favourite i would recommend this body oil to all the ladies out there looking for a product which provide soft and shiny Skin. I have already recommend to my close friends and they are loving it too Keep it up Looking forward to buy more and more from letshave. Argan oil packed with vitamin e and antioxidants retains moisture and boosts skin's natural hydration and provides relief from dry, itchy dehydrated skin. Makes your skin soft and supple. Jojoba oil with its natural healing properties goes deeper into the tissues thus helps in reducing skin burns, inflammation and rashes. Blackberry and lavender extracts symbolises beauty, purity, and freshness. It helps to protect the skin from the damage of the sun rays, it replenishes skin moisture, leaving it feeling soft and supple. It absorbs impurities from the pores on the skin, making it an ideal after-bath moisturizing agent.
. Then take as required to apply all over your body. Just little is enough.